Submit an application for licensure/registration to the nursing regulatory body (NRB) where you wish to be licensed/registered. This is in order to be made eligible to take the NCLEX*. Register for the NCLEX with Pearson VUE, utilizing one of the methods below. You will need a program code to register, and an email address must be provided with your registration. Correspondence from Pearson VUE will only be available via email. *The NCLEX-PN is used for U.S. licensure only. Due to high call center volume, it is recommended that you register for the NCLEX with Pearson VUE online. Pay using a credit, debit or prepaid card (VISA, MasterCard or American Express only). Have the card ready when completing the Internet registration. For third-party payments from nursing schools, agencies or employers, please follow the directions listed above. Call Pearson VUE NCLEX Candidate Services. Use one of the following payment methods: valid VISA, MasterCard, or American Express credit, debit or prepaid card. Have your card ready when calling to register. The name shown on the card, the card number and the expiration date must be provided. After an NCLEX registration is created, it will stay open for 365 days waiting for candidate eligibility from the NRB. Once you are made eligible, you must test within the validity dates on the Authorization to Test (ATT) email. If you are not made eligible or are denied eligibility by your NRB within the 365-day time period, you will forfeit your NCLEX registration and exam fee. If this occurs, you will need to reregister and pay another exam fee after the current registration expires. You may not have two NCLEX registrations (of the same exam type) open at the same time. If you reregister before your current registration expires, your second registration will be processed and denied, and the fee collected will be non-refundable. 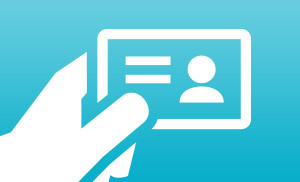 Candidates who don't show an acceptable form of ID won't be allowed to take the NCLEX.